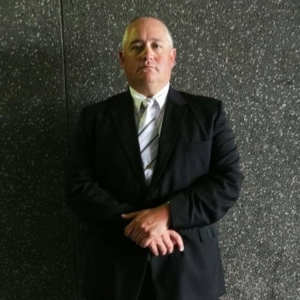 The South African Special Forces Association – SASFA – is a formal and professional Non Profit Military Veterans Organization, recognized by the Honorable Deputy Minister of Defense, on behalf of the Department of Defense and Veteran Affairs. 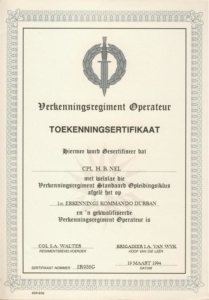 Membership of SASFA is available to all retired and serving members that served in any of the South African Special Forces Units. For more details see the members section. We maintain close ties with the serving members through the South African Special Forces Head Quarters. We highly value the serving members and their work. The Special Forces of South Africa – be it past or present – all form part of a legacy that is highly respected around the world. The Serving Special Forces personnel are automatically seen as affiliated members. 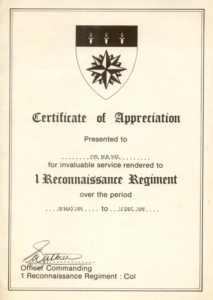 In this the Special Force fraternity is a leading example of soldiers being loyal to the country regardless of different timelines and phases in South Africa’s history. We embrace our past with as much passion as we embrace the present and the future. We are one. The Special Forces Soldiers are a special brand of people. The bonds that are forged in battle are never broken. We pay tribute to all soldiers that serve their country and will forever make it possible for them to connect with each other all over the world so we can communicate the news of their comrades with them. In this way we make sure we care for those that are dear to us. We invite you to share in this passion with us. SASFA in an a-political Association for retired soldiers that have served. We support the govt of the day. SASFA maintains good relations with relevant government departments and its internal structures. SASFA abides to its code of conduct which is values-based. SASFA promotes the respected legacy of its members to give recognition for their service to the country. SASFA recognises the principle of non-discrimination, and respects the worth and dignity of all its members.